Out house’s were an icon until the late 50 in most of rural America and still many are in use today. 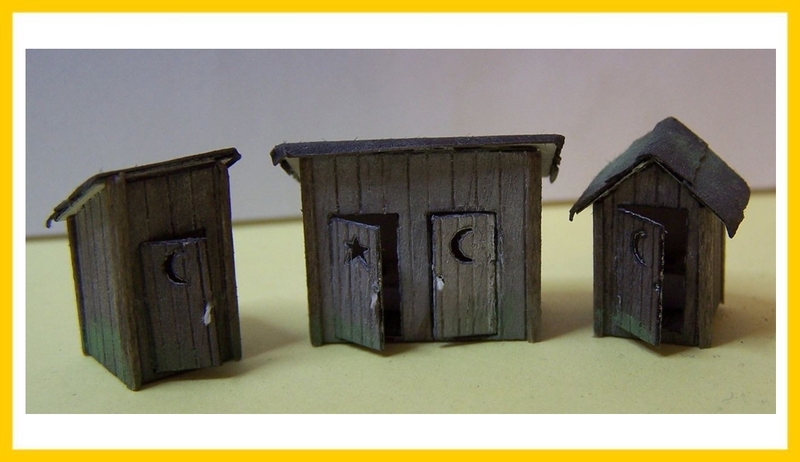 The kit includes 3 unique out houses with seats. Two single stall and one two stall. Use them behind the house or barn, or in your yard so your train crew has a place to go read.